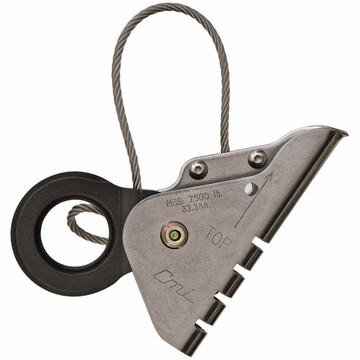 The CMI Ropewalker accomodates from 7/16 - 5/8" rope and makes flipline adjustment quick and easy. Taking the device on and off is also simple with the built in ball detent pin keeper. The Arborist model features a bolt with lock nut for those who want a fixed type of connection.